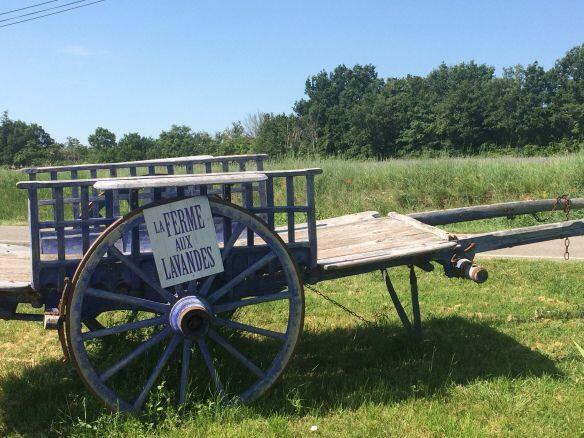 For quite some time, I have been enjoying the beautiful posts of charming villages, lavender, and adorable rabbits and cats from la Ferme aux Lavandes. So last week on our way to explore the villages around Mont Ventoux, we decided to make a stop at the lavender farm. …Continue reading here for Cheryl’s purple-hued photos and her description of their visit. Located just outside of the village of Sault, La Ferme aux Lavandes is on the road that leads riders and drivers to the summit of Mont Ventoux. The road can be busy as many visitors make a circuit of visiting the lavender fields in and around Sault, and visiting the peak of the “giant of Provence” in a day. It’s the final celebration of the season, but not one without fanfare. 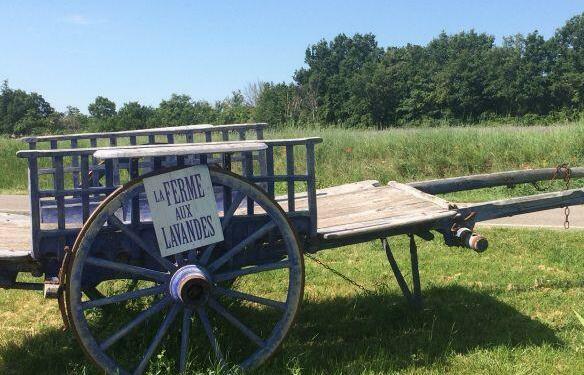 The Sault lavender festival happens annually (rain or shine) on August 15th. The day includes lavender cutting demonstrations (the old fashioned way), a market, arts and crafts, horse and buggy rides and more. Details for this family-friendly festival are available on the tourism website here.